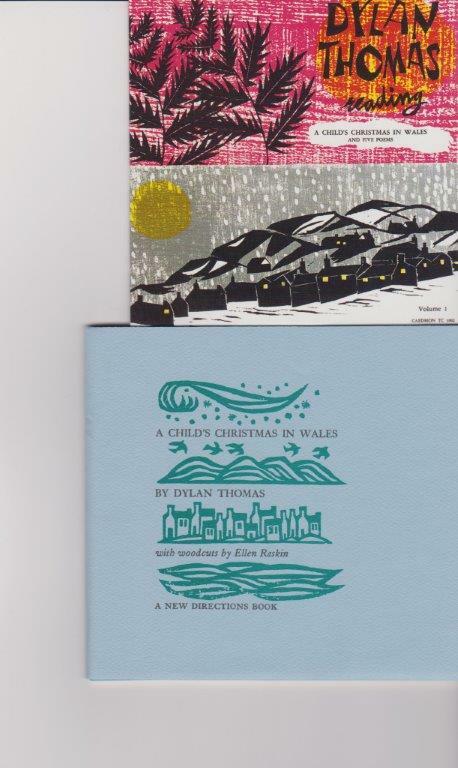 Dylan Thomas’s A Child’s Christmas in Wales, experienced on Christmas eve or Christmas Day. Dylan Thomas Reading was the first album Thomas recorded for the two women who founded Caedmon Records; this was the label’s first release in 1952. 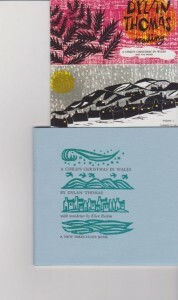 The special blue booklet of woodcut illustrations by Ellen Raskin (New Directions) was long a Christmas staple, too. Later came the excellent 1988 movie adaptation (Hen’s Tooth/Alliance) of the story. All are highly recommended reading, listening, and viewing.